I'm starting to get questions about when the storm is going to start tomorrow morning in the southern Plains. Here is good estimate. 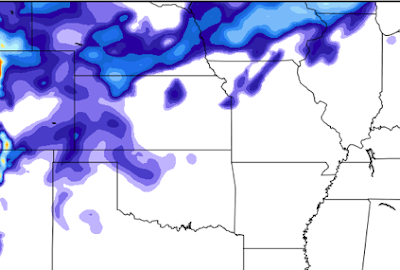 That is new snow in the High Plains with 2-4 inches along I-70 from about Oakley to Denver. 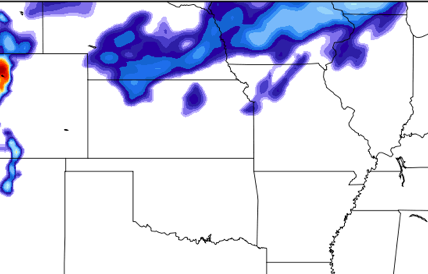 U.S. 400 is forecast to have 2-4 inches of new snow from about Dodge City to the Colorado line. Snow just starting along I-35 in northern Oklahoma. Conditions rapidly deteriorating by this time on U.S. 83 across Kansas and southwest Nebraska.